It is so important, particularly today, that our future generations are brought up as genuinely kind and caring people with peace and prosperity in heart and mind. It is our duty to continue to empower and raise our children as strong, tolerant and protective members of our society and environment. 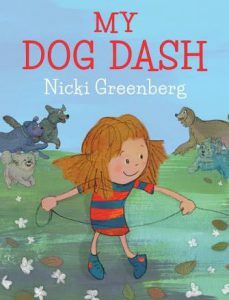 I love these following picture books for their beautiful messages of compassion, fervour, accepting differences, and making differences. 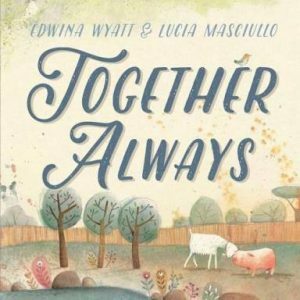 Together Always, written by Edwina Wyatt and illustrated by Lucia Masciullo, is a sweet, profound and mesmorising book of everlasting friendship and overcoming differences in opinion without comprising values. Pig and Goat ‘always‘ do everything together, no matter what fruit hangs from the trees in the orchard. They laze about in the sun and the stream, tell tales and hum tunes when the other is down. One BIG night Goat decides he feels the need to take Pig and go exploring over the hills. 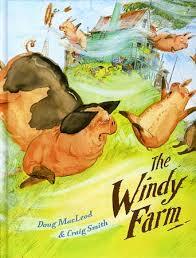 But when Pig misses his home, they forfeit their ‘sticking together always‘ pact and part ways. To soothe themselves to sleep or to comfort themselves when they feel lonely, Pig and Goat find ways to remember each other. They know that although they are physically apart, they are, in fact, ‘always‘ in each other’s hearts. Gorgeously textured pencil and watercolours in splats and strokes magnificently outline the characters, showing both the elements of togetherness and individuality. This is further carried through when the mix of cool and warm tones are subtly separated when the friends are apart from one another. Together Always is a deep and meaningful story with plenty of playful moments. 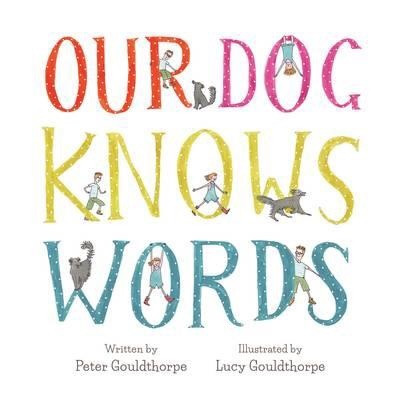 It would perfectly suit preschoolers and beyond who might be grappling with complex friendships or missing a mate who has moved out of their immediate everyday world. Little Hare Books, Hardie Grant Egmont, March 2016. If you’ve heard of the movie ‘Oddball‘ then you’ll know and appreciate the persistence and virtue of the characters in the story. 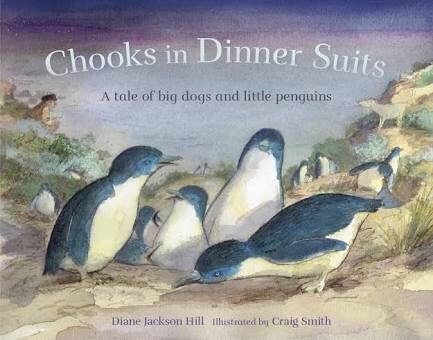 Poignant and uplifting, Chooks in Dinner Suits is based on the real life events of farmer, Swampy Marsh and his tireless, ongoing work with his canine pals to save a colony of Little Penguins on Middle Island. 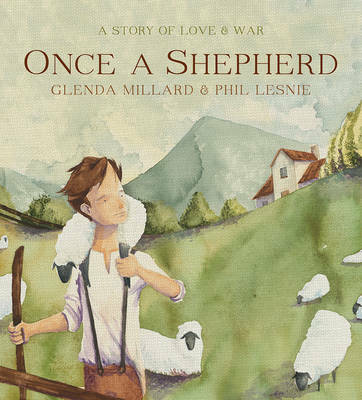 Gorgeously written in a factual yet frolicsome narrative by Diane Jackson Hill, with visually arresting scenery and playfulness by Craig Smith, this book is an eye-opening, captivating and warming experience to touch every heart and soul. When settlers establish themselves in a town besides the small island off Warrnambool, soon humans, dogs and foxes make a devastating impact on the land and the penguin population. Swampy Marsh takes notice and pleads with the townsfolk to help reinforce his plan to protect the area, to no avail. 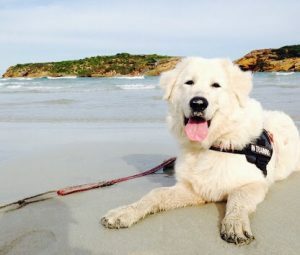 But when penguin numbers dwindle to not even a handful, the people agree and Swampy recruits his two best Maremma dogs to act as the loyal, sensible and fiercely protective guardians that they are. Needless to say, the waddle on Middle Island flourishes, and just like with all happy endings, we are graciously gifted with a sense of relief and calm. A story of hope, triumph and passion, guts and determination, Chooks in Dinner Suits is sure to ignite the spark in its early years readers to also advocate and fight for the future of our environment and its amazing wildlife. More information about the island, the work of the Maremmas and the growth of the Little Penguin colony can be found at the back of the book, and you can also visit www.warrnamboolpenguins.com.au to read about the project. Entrancingly adorable, eclectic and whimsical mixed media illustrations go hand in hand with this special story of courage and helping others in need. 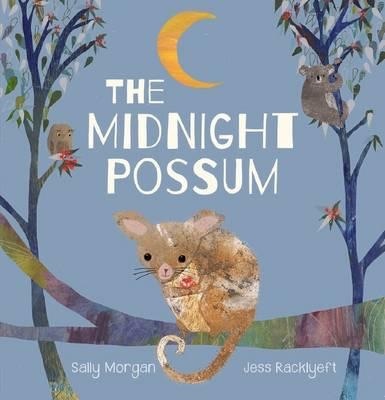 From the legendary storyteller that is Sally Morgan, collaborating with talented artist Jess Racklyeft, Midnight Possum is a book to treasure. We all know that possums enjoy adventure and mischief in the dark of night. But what happens when there’s trouble? How do they escape those sticky situations? For one stealthy Possum, no problem is too much effort when he comes across Mother Possum calling for help. One of the twin babies is missing, but it doesn’t take long before Possum grunts, scrabbles and heaves his way down the dusty chimney in ‘mission impossible’ style. There he finds the tiny mite frightened as he clings to a brick ledge. Some ‘risky business’ later, the pair sneak out the pet flap in the back door and return to safety…and dinner! Highly interactive, engaging and humorous with its fluid narrative, questioning, fun sound effects and cheeky illustrations, Midnight Possum ticks all the boxes. 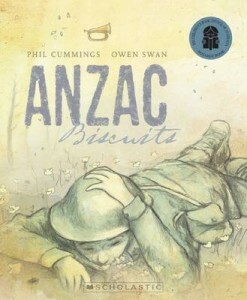 Children from age three will be hanging out to read this active book of bravery over and over, at all times of the night! 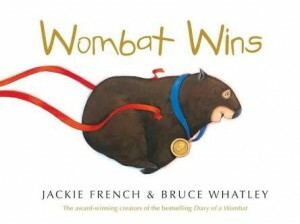 Review – Where Are You, Banana? Ever had a little buddy you just can’t live without? A certain something or someone that insinuates itself so deeply into your heart that to be without it would be like losing part of yourself? Pets especially imbue a certain sticky charm and no pet wheedles our affection better than the humble dog. 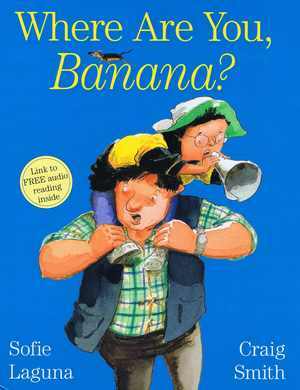 This is exactly what, Roddy, the young star of Allen & Unwin’s latest picture book release, Where Are You, Banana? 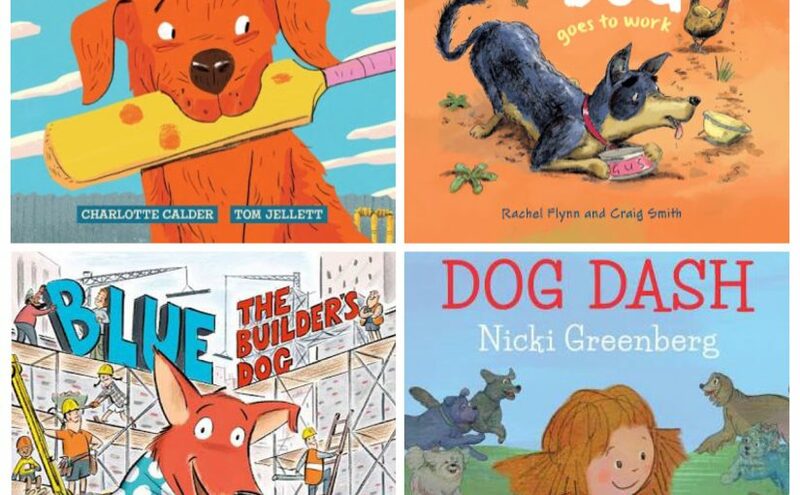 encounters when a pooch named Banana joins his family. Banana and Roddy share an intimate history together. Banana was Roddy’s first word. 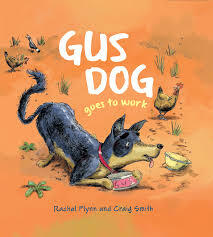 He is Roddy’s constant companion, a devoted playmate and supreme guardian. But Banana is not without his shortcomings. One of the slight disadvantages of being so close to something is that it makes letting it go all the more difficult. Banana’s obsessive dependency results in a trail of chewed possessions, one very irate neighbour and the banning of visits to Aunt Celia, whose chooks Banana has an unhealthy predilection for. 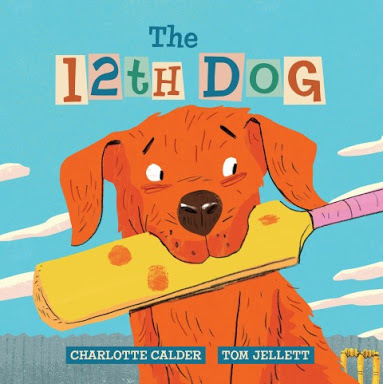 The tale tangles when Roddy leaves Banana alone with nothing more than a bone and his own devices one day when they are at Aunt Celia’s. Her new chicks are a short-lived novelty and can’t quite stop Roddy from making mental promises to the dog he feels he has abandoned. He can’t wait to return home and make amends but when the family return, Banana is nowhere to be found. 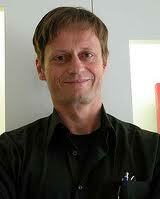 In spite of everyone’s constant reassurances, Roddy begins to worry, a lot. The house bereft of Banana’s presence, is eerily empty. Roddy is disconsolate. Unable to sleep, he sets out to look for his dog by himself. What follows is a marvellous example of simple ingenuity and heart-warming humanity. Where Are You, Banana? 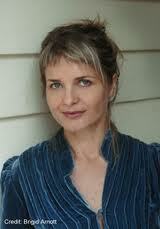 Is an absorbing little adventure by highly acclaimed, award winning author Sofie Laguna. 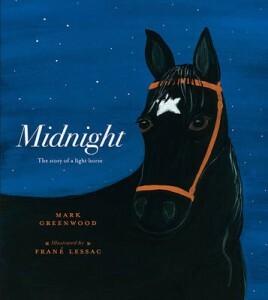 Laguna’s frank first person narrative weaves a story that is easy to read, easy to like and perfect to share with the whole family. Craig Smith’s animated watercolour illustrations leave us in no doubt as to how excruciating it can be searching for something you’ve loved and lost. 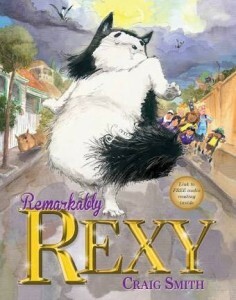 They are just the right mix of whimsy and pull-at-your-heart cute. 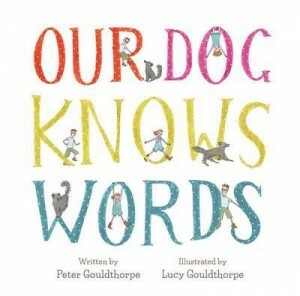 If you’ve ever lost a pet, even for a short time, or misplaced a beloved object, then this picture book will strike an emotive chord. Children often feel these kinds of losses in the most dramatic of ways. 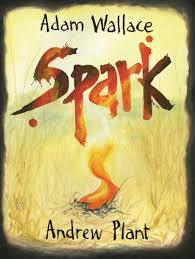 And indeed, this tale resonates with ‘child-trapped-down-a-well’ drama and appeal. Thankfully, Where Are You, Banana? 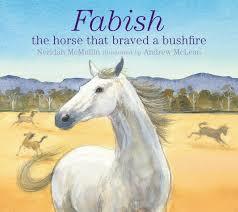 ends happily, reinforcing the feel-good notion that tenacity and love really do triumph over adversity. Just right for 3 – 6 year olds. A lovely addition to this hardcover edition is the QR code inside the book’s cover. 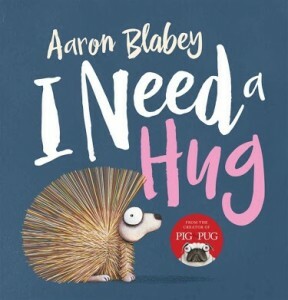 Readers can scan the code for a free audio reading, ideal for playtime and bedtime. Or they can click on the Allen & Unwin website. 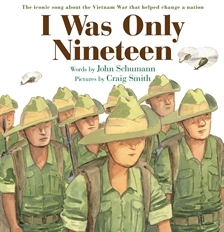 Meet Sofie and watch Craig draw images from this book at the launch for Where Are You, Banana? this Saturday 6th July at Readings St Kilda, Victoria 10.30 am. Check here for details. Heather is a little accident-prone, especially when it comes to water. If there’s a lake, a puddle, a pool, seaside or drip, she’ll tumble into it, coat and hat and shoes and all. Her parents worry for her safety. They worry so much, they make Heather wear floaties day in and day out. Just in case. Heather is too scared to go to swimming lessons. “The water hates me,” she says. But her parents believe that throwing her in the deep end may be just what the swim instructor ordered. So, off they go to the pool. To her surprise, Heather likes it. She likes the feel of the water on her arms and legs. She likes the way it splashes. She likes it so much, her floaties soon get the old heave-ho, and little Heather fast becomes a swimming champ, much to the delight of her proud, no longer-paranoid parents. 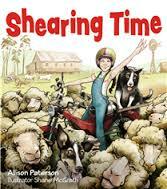 Based on author Doug MacLeod’s real life sister who always fell in the water, this is a charming story with – hurrah! – a great ending. Illustrator Craig Smith’s bright yet watery illustrations are delightfully funny – I particularly love the ones of Heather finally claiming the water. This is a really large format book; I personally think it would have worked better slightly smaller. 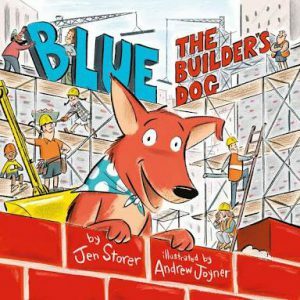 Nonetheless, it’s a wonderful stand-alone book but also one that’s priceless for schools and daycare centres – and anyone who has certain challenges with the wet stuff. Gorgeous. 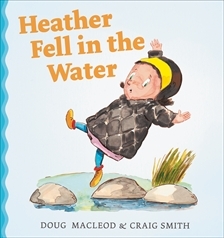 Heather Fell in the Water is published by Allen & Unwin.